30:06 – A Sunday talk from The Center for Spiritual Living North Jersey by Rev. Michelle Wadleigh. When was the last time that you really experienced yourself as the gift? Yes, you! Imagine that you are the One for whom the world has been waiting. 28:51 – A Sunday talk from The Center for Spiritual Living North Jersey by Rev. Michelle Wadleigh. With every event in our lives we get to enjoy the lesson. Sometimes it is an obvious gift and sometimes the gift is masked. Let us learn how to understand the distinction..
1:05:05 – A Sacred Sunday Taize – a very special and different Sunday Celebration from The Center for Spiritual Living North Jersey by Rev. Michelle Wadleigh. This Celebration will offer you a very special experience. Share the beauty of our Sangha (Community). We have a unique way of presenting Truth; sometimes in a sacred way, sometimes in a way of celebration. This Sunday will be different, deep and totally heart-centered. 22:50 – A Sunday talk from The Center for Spiritual Living North Jersey by Rev. Michelle Wadleigh. There is a conscious way to do everything. Let’s talk about moving through this Holy Season gleaning only the highest and best possible outcomes. 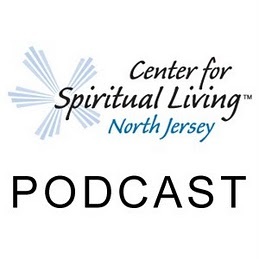 37:13 – A Sunday talk from The Center for Spiritual Living North Jersey by Rev. Michelle Wadleigh. Each and every breath is a Gift, let us give thanks for these gifts. Let us praise out loud as a community and shout thank you from the mountain tops! 40:54 – A Sunday talk from The Greater Philadelphia Center for Spiritual Living in Paoli, PA, where Rev. Michelle Wadleigh spoke as a guest minister. Whether it be math, a chemical formula or a recipe there, there is an easy way to figure out what it is that you believe; and then create from there. 25:08 – A Sunday talk from The Center for Spiritual Living North Jersey by Rev. Stephen Bartlett. Rev. Stephen invites you to create positive principles and create positive results! 20:31 – A Sunday talk from The Center for Spiritual Living North Jersey by Rev. Michelle Wadleigh. We often say we want happiness or health or wealth and yet so often, our actions do not support our wants, hopes and dreams. Ask yourself: What am I willing to give up in order to receive my happiness? 33:00 – A Sunday talk from The Center for Spiritual Living North Jersey by Rev. Joel Fotinos. What can we do when it feels like life is hard? How can we deal with the difficulties that can arise? Join Rev. Joel as he discusses spiritual solutions to life’s situations. 30:45 – A Sunday talk from The Center for Spiritual Living North Jersey by Rev. Michelle Wadleigh. Have you bought into the idea that you are not enough? That there is not enough? That all you want is beyond your reach? Unlearn what you have learned, and know the truth that there is always more than you can imagine!